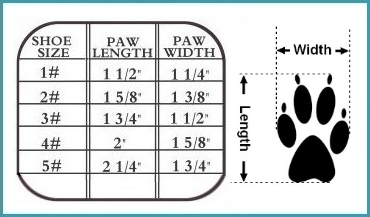 These doggy sandals are useful for protecting puppy paws from hot asphalt or preventing discomfort often associated with seasonal allergies. 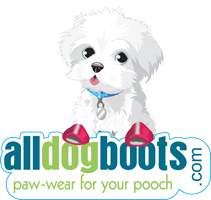 Your dog can make a poochie fashion statement this summer at the beach or on the street! Your pup will be the talk of the town in this pawsome new style of fashionable and functional mesh dog sandals. Available in a set of 4: mesh doggie sandals come packed in a clear, snap pouch. I love these little sandals but my dogs feet keep slipping out of the sides. I used the form to measure his paws but apparently I did it wrong. This is the second set I have ordered since we managed to loose one of his shoes walking somewhere. Besides this little issue, these shoes are amazing. I may just have to go smaller. It is my first time buying dog sandals. My dog is 4.5 lbs. I had no idea he would take to them so easily. I love these! We live in Scottsdale, AZ and he is ready for the hot pavements with these sandals! I can't thank you enough!!! Sandals fit perfectly and very stylish! My terrier loves it! Most importantly very comfortable, if he didn't like it, he would try and take them off. Too bad can't upload photos. I love the shoes, but most importantly I am so pleased with the customer service. Initially the incorrect boots were sent to me. I contacted All Dog Boots and they sent out a replacement pair immediately. Can't beat that customer service!!! Very happy with my shopping experience. They said to go to a bigger size if the dogs foot just fits. Depending on the dog's foot that may not be necessary. I went a size up but could have stayed with a smaller size. She sometimes walks out of them if the strap is not pulled tight.